Patricia Highsmith was a creative, prolific novelist, but a complicated, secretive person, with a tumultuous personal life. This revealing biography of Tom Ripley’s creator uses her personal diaries, private correspondence, and close friends to explore her many selves, some of which she wanted to keep hidden. Highsmith’s life was dominated by doublings and conflicting emotions. She had an extraordinary number of love affairs, many with married women, but each relationship was tempestuous and almost guaranteed to end badly. She frequently had more than one affair at a time, and tried her best to keep each partner from knowing about the other. 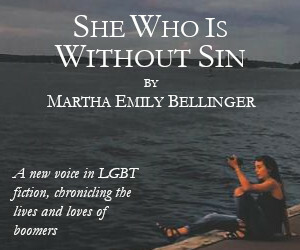 She tended to think of violence and murder along with love, and incorporated this connection into her novels. There were only a handful of people who remained close to her over the years, and even they sometimes found it difficult to deal with her. She lived in Europe for much of her adult life, after growing up in Texas and attending Barnard College in New York. She rapidly moved from one place to another (the biography begins with Highsmith living in rural France, “her fourth home in two and a half years”), before finally settling on a small town in Switzerland. However, she usually refused to speak the native languages, even though she had varying degrees of competency in them. Her need for deception and secrecy was so great she would even edit her own private journals, changing the dates of certain events and altering circumstances to reflect her ever-changing moods. As a result, some significant details of her life are missing from her diaries. For instance, Highsmith removed all evidence from her archives of her eight-year stint as a pulp comic book writer in the 1940’s, when she scripted stories for such super heroes as The Black Marvel and The Destroyer (who would much later be revealed to be gay). She would only mention her comic book work when pressed by interviewers, and then would claim to have written for Batman and Superman, much better known and more reputable characters. She wanted to be known as a sophisticated, “high-class” author, yet she learned a great deal from her comics writing. Schenkar argues that the main themes of comic books, “the threatening terrain, the lurid fantasy, the desperate pursuit of Alter Egos by each other,” lie at the heart of every novel Highsmith ever wrote. And yet she concealed any mention of that experience. Even her dying was a complex matter. In 1993, she was diagnosed with two separate and competing diseases, aplastic anemia and cancer. She could not be treated for the cancer, since the necessary drugs and radiation would have aggravated the anemia. 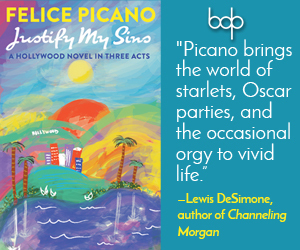 She changed her will multiple times before her death, at the last minute leaving her assets and royalties to the Yaddo artists’ colony, where earlier she wrote Strangers on a Train. In spite of all this drama, Highsmith was an incredibly talented and disciplined writer, normally completing six to eight pages a day. She had an uncanny ability to adapt her own experiences into her work, often telling the truth in her fiction rather than her real life. She overlooked nothing that could be used in her work. In addition to the popular Ripley novels, she published what many consider her most personal work, The Price of Salt, about a relatively happy, if complicated, lesbian relationship; according to Schenkar, it is the only Highsmith novel where “a murder is not committed.” The Talented Miss Highsmith shows a talented writer in all her complexity, illuminating the work by examining the life. Charles Green is a writer and editor based in Annapolis, Maryland. His articles and reviews have appeared in many publications. Two of his magazine articles won Honorable Mention in the 78th annual Writers Digest Writing Competition. Thanks for the review, Charles. I just received this from Amazon and am curious to see how it compares with previous recent Highsmith biographies. I’m also really intrigued by her work for the comics, and am excited to see this portion of her work come to the fore. My pleasure, Nathan. I was surprised to learn Highsmith wrote for the comics myself. I think she learned a lot from her work there, especially plotting and meeting deadlines. I hope you’re enjoying the book. I loved this book. It’s huge and consuming. I read it on the beach and couldn’t put it down. So thorough and fascinating. Thanks for the review. I’m glad you enjoyed it, Julie. I devoured the book in a couple days, and was fascinated by all the details. 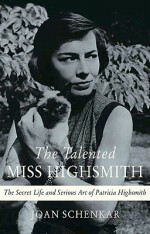 Highsmith definitely seemed like a difficult person to be friends with, let alone a lover, but what a talent!